This is the Natural High brought to you by Kaldi's Coffee Roasting Co. A South and Central American blend of certified Organic and Fair Trade coffees, roasted until their essential oils rise to the surface. A classic roast perennially favored in Continental Europe. This cup is fantastically rich, with notes of roasted nuts and caramel. This was a great selection. I'm glad this was picked for me! I love the caramelly tones, and the chocolate hints. It almost has a buttery flavor/smoothness to it. Clean.. on and off the tongue. I would like more coffees like this. I would like to try something with these flavors, but maybe a bit darker. Just to explore. Excellent coffee. I little more acidic, not as much personality. Really good! On first try this coffee tasted overly bitter and no substance to back it up, however over a few days the bitterness seemed to recede resulting in a more balanced flavour profile. I was really disappointed with this coffee. It made a decent cold brew, but when brewed via chemex, it was overwhelmingly burnt tasting. Great morning coffee - Has a great morning jolt of energy, very true dark, wholesome taste. Love the organic nature. Really everything is near perfect about it, except for a touch of bitter taste. This is hard. I like both coffees so far. For some reason, which I can't pin down, I think I like the first a little better. Maybe it's the maple? I grew up in New England. Just guessing. Maybe I should have saved some beans for a side-by-side comparison, because my taste buds don't have a long specific memory. Suggestions? Very dark roast for my tastes. Not a bad flavor but more on the bitter side and you can definitely taste the nuttinsss. The aroma is great. Was a nicely balanced cup. Nothing really stuck out to me to make it special. This one was good, but I didn't like it as much as Day Tripper...this one seemed a little more bitter. However, I LOVE that it is fair trade. I don't know if all of your coffee is ethically sourced, but coffee that is fair trade, UTZ, or otherwise certified against forced child labor, environmental degradation and unfair wages matters to me. Thanks! I like this one much more than the last, the only thing I wish is if it was a hair more robust/bold. Pro: Smooth taste - not harsh or bitter. I would agree with the "nutty" and "caramel" descriptors. Con: The flavor is mild, and is missing character. This coffee is okay. It tastes tart to start with but finishes strong, but overall unremarkable. Loved the caramel and rich flavor these coffee beans brought to my cup! This is a solid coffee with medium acidity that was easy to drink everyday. The bouquet was heavenly too. Full of flavor and great strength. Good hot, lacking when cold brewed. Brewed via Chemex 42G coffee, 600G water. Bitter flavor upfront and throughout. Didn't get that nutty, caramel flavor that we were expecting. LOVED this coffee. It is smooth, smells fantastic and super delicious. So far this coffee bean is recommended. The nuttiness and caramel really come in play. Been playing around with temperature and this coffee has no bitterness or burnt after taste. Slightly nutty, flavor was pretty bland. This was my least favorite coffee so far, nothing that excited me with this one. Probably one of my top 3 since starting the subscription. Good coffee. Not quite as much flavor as others but a solid coffee nonetheless. The description of "a classic roast" is spot on. We liked the richness and flavor. I wish I could say why it was just "OK." The best way I can describe the flavor is that it's boring. I can't say I tasted anything in it that was unique or made me think "this is good coffee." I really really dig the first one: VERVE. This one tastes woody. My tongue seems to dislike this one. I tried to like it so much enough to use it up. Unfortunately, its sitting on the shelf. I found this coffee slightly boring. It wasn't bad, but it wasn't very good either. Liked this one more than the last. Am enjoying more of the nutty flavor compared to the chocolatey flavor of the last one. I don't love the coffee. The flavor is not as enjoyable as the Tailor Maid. The taste is more bitter, I think i like the bright flavor of the Tailor Maid, rather than the nuts and carmel. I thought the richness in the description is what i wanted but this is not what I thought rich was. I like a full flavor. I found the caramel but I'm not sure I would call it rich. This is a good darker roast without the bold mouthful. The nuttiness is subtle. Its a little too mellow for me as a drip. Espresso magnified these flavors for a much better cup though. My Grandparents would love it as a drip! This too was a good coffee, but we liked the 1st choice sent our way better. This one had less of the nutty/roasty flavors than the 1st coffee sent to us. Natural high also had a bit more bitter/burnt notes to our palate than the 1st choice. Thanks! Liked the first coffee better, this one is good but felt the first coffee was a ,title more bold and flavorful. Better than the first, good strength, definitely more roasty, not sour which is good, bean is medium in color which I enjoy. Not sure about this one. Rich is not the word I'd use here. I've made it a couple times, and have yet to get much flavor out of the beans. I wouldn't go so far as to say this coffee is bad. Just a little"flat". I first noticed the color of the bean being much lighter than I normally purchase and there was also much less of that typical coffee aroma upon opening the package. This was also evident upon first taste; it has a much lighter and much more mellow flavor than I typically find with my coffees. From an acidity/sour standpoint, I feel the coffee was good as there were no bad after tastes. My only thought is that it kept me wanting more flavor after drinking a cup, almost that it was watered down. I may try altering my typical preparation of coffee for this one to put more grounds versus water. Love this one! Perfect blend of strength with smoothness for me! Nice full bodied coffee from my V60 and french press. Very nutty flavors. I like it! I love it. The rich flavor and caramel notes are just what I want in the morning. Too dark for my liking! A nice blend of dark and lighter beans, yielding a mostly French roast style but with more flavor and complexity. Not a fan of this one. It has a slightly burnt flavor, and an herbal/vegetable flavor that I don't like (celery-ish). I've had this brand of coffee twice before (not through Mistobox) and I think I'm safe to say that I just don't like their coffee. Smooth and full-flavored blend. Not exotic in any way but would be a good go-to everyday coffee. Used a Moka pot to brew. Really smooth, mixed well when making mochas. Really solid cup of coffee, really loved the depth of the mouthfeel and versatility between a concentrated drip cone, as a shot of espresso, or off the filter in the Eva Solo! Solid and would totally recommend. Love the oily, nutty flavor of this one. Just kind of a classic, solid roast. This is my favorite roast, so far! Great smell, rich taste! Good flavor at the end, but the profile is overwhelmed by acidity--too sour! Not a bad coffee, but unpleasant for my taste, had to dump. A bit bolder than the previous choice, but still a very unique and not-at-all bitter tasting coffee. I may have added a few grams of beans extra to my first cup, so my review may change after I nail it down next time. :-) Prefer previous roaster's packaging to this one. Kaldi is one of my favorite roasts. Not as full of the caramel as the Kaldi roast, but nice, as well. This coffee had a unique flavor, with a unique blend that made a good cup. I am not a fan of this coffee. It is incredibly bitter. After tasting the first cup, and subsequently throwing out the first cup, I was sure I had over extracted the beans. I brewed a second cup, cutting the brew by 30 seconds. It was slightly less bitter, but still not good. I'm continuing to play with these beans, but my general consensus after 4 tries is that these beans are too bitter. Maybe I just got a bad roast?I had to research acidity and bitterness to see if it was possible if the bitter taste was somehow linked to the bean or the roast. 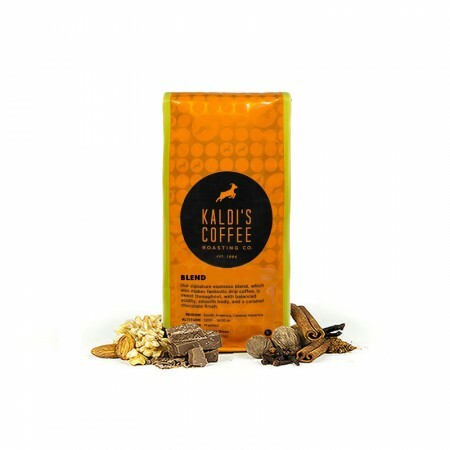 Funny how that search brought me the Kaldi's page on their roasting and how their roasting technique/technology actually minimizes quinic acid. Go figure!This is the first miss by mistobox. Every other bag I've received has been spot on, and I cannot say enough good things about mistobox. This is one of the best coffees that has been sent. Nice and rich, while maintaining and medium/light roast. I've been enjoying as a Hario v60 pour over, 30g beans to 480g water. Send me more like this one! This is a lovely blend. I enjoy it very much. It is wonderful for a morning cup. The aroma is fantastic, and is great for drip and pour over. Delicious nutty flavor, really enjoyed this one! I really liked this in drip. Excellent with or without cream and sugar. It has caramel flavor when only lightly brewed but nothing else. Trying to get a rich full body out of it, makes it very bitter. For my taste, it definitely needed to be roasted more. Really High Quality coffee, I'm just not into really dark crispy roasts. If you like a really dark french style coffee you will really dig this coffee. Sometimes I think this is roasted a bit too dark for my preference and sometimes not, but nevertheless I've been enjoying every cup. Superb blend. Great body and rich flavor. Aeropress brings it to life but pour over is good too. Not my favorite. Interesting. I think it has a campfire, smoky taste. Smoky is good in lots of things, but surprisingly not in coffee. Not the deep rich flavor I prefer. YUM! This is the only coffee I have had so far that I can drink black and ENJOY! I don't even make a yucky face :) It is very smooth, not bitter. Highly Recommend and will buy again after we try some more. Excellent aroma and surprisingly smooth. One of my favorites now. In love with this coffee. So delicious and rich. Nicely nuanced flavor with a smooth finish! Very pleasant drinking, not overpowering. I liked this coffee for its full bodied nature and smooth taste. Keep these good ones coming! This one was good, but I liked the Mocha Java Fair Trade Organic better. This was a little more in my "wheelhouse" deeper and richer but not maxed out. I couldn't really put my finger on what I didn't like about this. It wasn't bad, just okay. Another 5! Great way to start our most recent box! We loved the rich, smooth nutty caramel notes. Perfect in every way! Somewhat over-roasted to my palate. One of my favorites so far; sweet, balanced, and easy to brew well. I don't have a lot to say but every cup is good and I look forward to drinking it in the morning. I make it as a double-espresso in my Aeropress and it works well nice and concentrated.